Ireland have won gold on the third day of the World Para Athletics European Championships in Berlin. 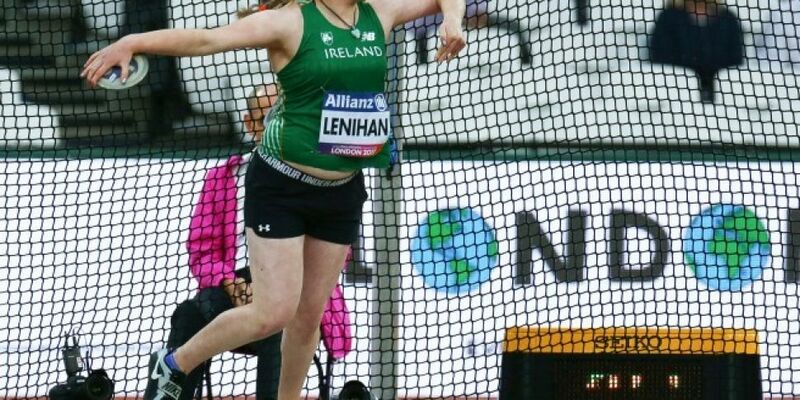 Noelle Lenihan took the medal in the discus in the F38 with a world record throw of 32.95 metres. The Cork native set and broke the World record in the same competition with throws of 32.28 and 32.95. The silver went to Eva Datinska of the Czech Republic while Latvia’s Ingrida Preide took bronze. “I knew it was there but obviously when you go in to a meet anything can happen in a competition. "It’s been a whirlwind, four years ago if you would have told me I’d be here now, it’s like – how? But I’ve put so much work and for it all to come together. "I’m delighted. I’m just thrilled with how today went and I’m just looking forward to the future." It marks Ireland’s fourth gold medal of the games. The ten strong Irish team took a hat trick of gold medals in Berlin on Tuesday. Orla Barry won the top prize in the T57 discus with her first throw of 28.76 metres. Greta Streimikyte had earlier got off to a dream start by winning gold in the T13 1,500m. Jason Smyth set a new championship record after taking gold in the T13 200m final. The Derry sprinter led from the first bend and crossed the finishing line in a time of 21.44 seconds – a new championship record.